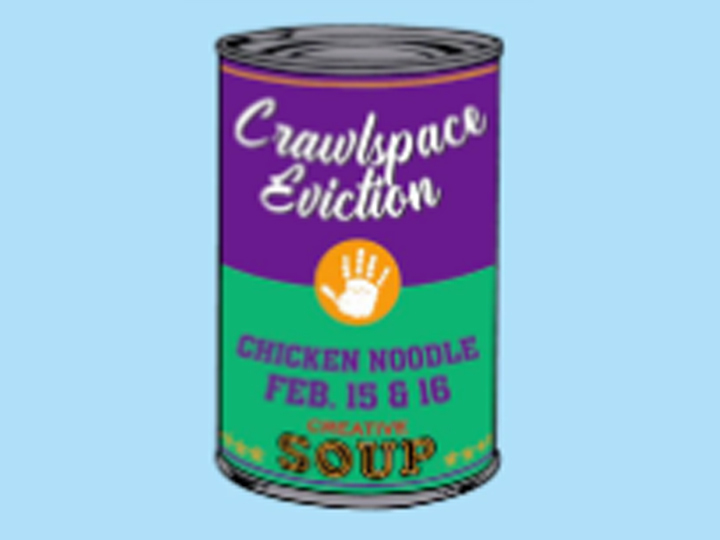 Chicken noodle soup will always make you feel better, and so will Crawlspace Eviction’s next weekend of improv and sketch comedy shows, entitled “Chicken Noodle,” on February 15 and 16. Chicken noodle soup might be able to cure the common cold, but we’ll make the middle of winter a little more fun by continuing our soup-themed sixteenth season and serving up some more piping hot laughs. The performances will take place in the Crawlspace Comedy Theatre, located in what is now the First Baptist Church, at 315 W. Michigan Ave., on February 15 and 16. The shows will start at 8 pm, with seating beginning at 7:30 pm. Tickets are $13. For tickets and more information, visit www.crawlspacetheatre.com and www.facebook.com/crawlspaceeviction.